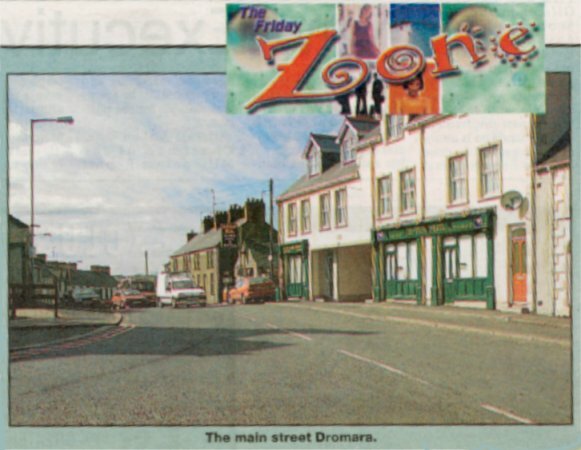 DROMARA has a relaxed and easy atmosphere that is steeped in character. It is however a village of stark contrast, green fields looking onto towering mountains. Old houses that have reared generations of families surrounded by modern bungalows and shops along with atmospheric pubs. Dromara is ringed by the thriving towns of Lisburn, Dromore, Banbridge, Rathfriland and Ballynahinch, with Castlewellan and Newcastle a few miles beyond. The rath, has been known at other times as 'Drumbara', and 'Annesborough', but in the 19th century it was settled as Dromara. Ownership of much of the land has been traced back to the McGuinness family and it was transferred to the Hill family in the 17th century and subsequently the Marquis of Downshire.